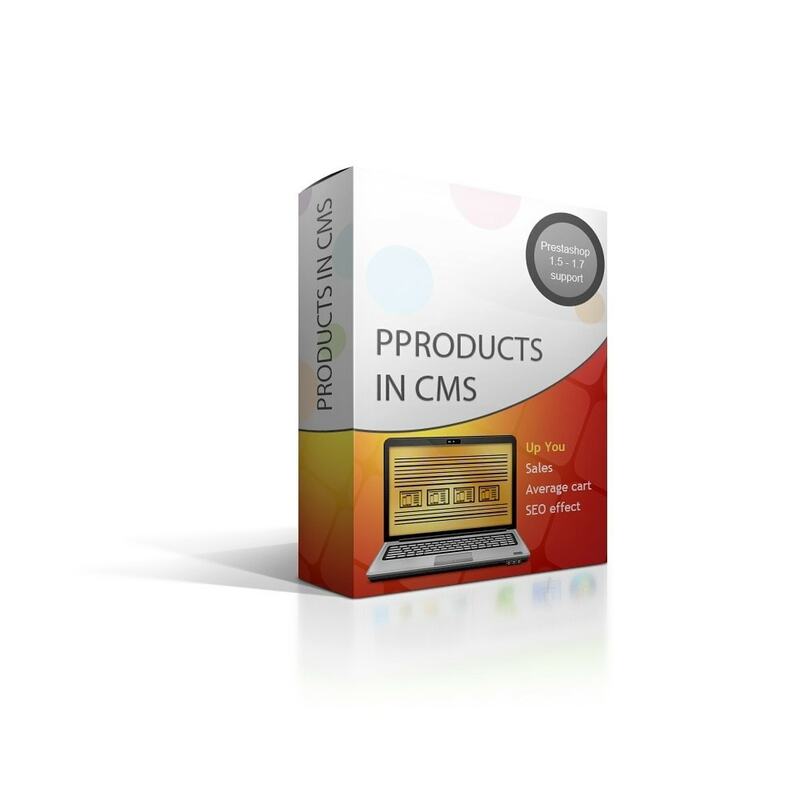 This Prestashop module can help you to optimize all your CMS pages. Easily add products to your pages will increase you average cart and sales. 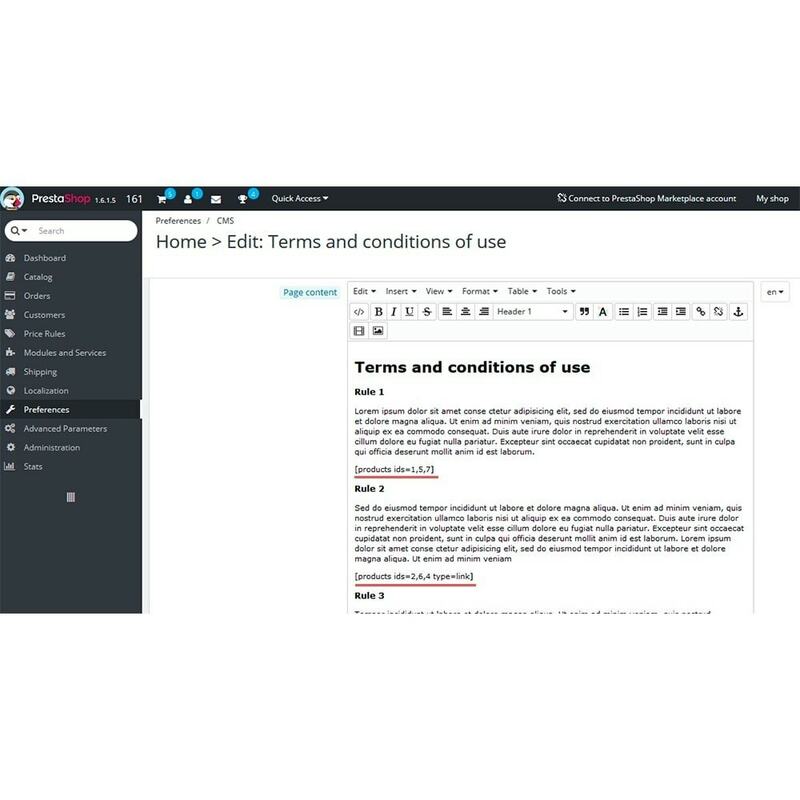 Adding products to CMS pages will increase traffic to your catalog and SEO effect. Congratulations!!! 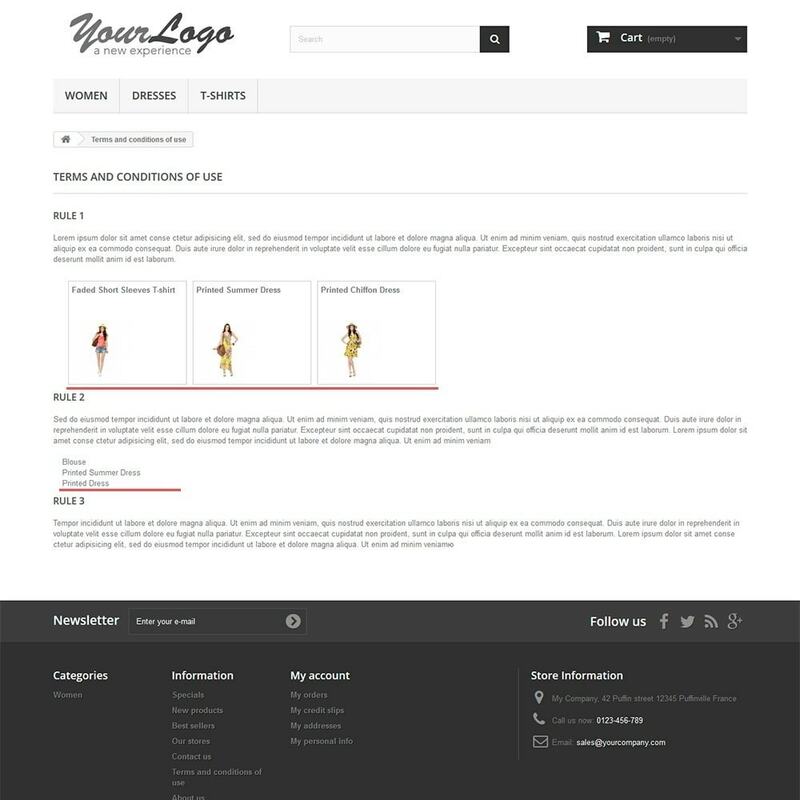 Products block in your CMS page! [products ids=1,3,5,78] - Products ID. [products refs=demo_1,demo_3] - references of products. [products tags=shoes,shirts] - tags of products. [products category=10 limit=6] - Limit of products in block to display. You can combine all of these parameters and get your own products blocks. a) Unzip the module, upload the folder to your /modules folder and install via the back-office as usual. b) Open a "Modules" page of your back-office, click an "Add a new Module" button, click on a "Choose a file" button, select the module and click on an "Upload this module" button. Then install via the back-office as usual.